Lluís Paradell Trius is counsel in the international arbitration and public international law groups at Freshfields Bruckhaus Deringer in Rome. 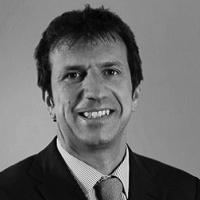 Lluís specialises in investor-state arbitration and investment protection. He is also involved in commercial arbitration where he acts both as counsel as an arbitrator. He has a Ph.D. in public international law from Cambridge University as well as degrees in international relations (Cambridge), European law (Brussels), and Spanish law (Barcelona). He is co-author of the book Law and Practice of Investment Treaties (Kluwer 2009).